Life is amazing - enjoy it: Tadoba Trip for Tiger: Bagher Tandob in Tadoba ! Tadoba Trip for Tiger: Bagher Tandob in Tadoba ! For the full article in her blog click here - rollingonmythoughts.wordpress.com . The words in italics are added by me. We booked our plane tickets to Nagpur in January as Indigo was giving an amazing round trip offer of around INR 5,800. After intensive googling, I zeroed in on Serai Tiger for our lodging. However I learnt later that we should have started the process by first booking our safaris. The booking system here is totally different from the African safaris! Thankfully, by various permutations and combinations of entries through different gates, the camp manager Mr Dev booked us 6 safaris. After a sumptuous home-made dosa breakfast, we left for Tadoba in the big van (Tempo Traveller) sent to us by the lodge. The roads were smooth and we reached in time in 3.5 hours for lunch (very good taxi driver Prakash Dungre +91 9423404693) and soon got ready for our first safari at 2.30 pm. We had been warned about the deadly heat in that part of the country but had also been assured that in early April, the heat will be bearable. However, while driving to Mohurli gate in an open Gypsy, we felt we were passing through a furnace. Our hats and sunglasses hardly provided any relief. The jungle did not provide a canopy either and we got roasted almost until sunset. Looking at the headgears of the other tourists, who were all dressed up as the infamous bandits of the Chambal Valley, we all realised that we had made a BIG mistake in our estimation of heat. (So do take a wet towel) But our excitement and very good sightings made us forget the heat for a while. We were lucky to see the famous tigress Maya (P2) with her cubs at Pandharpauni within an hour of our first safari near a watering hole. . The amazing camouflage provided by the dry long grass has to be seen to be believed. How beautifully the stripes merge with the golden colour of the reeds and grass. Keep looking and you suddenly get to spot this magnificent animal. She had 3 boys and a little girl who came out to pose for us in the open. But the mother and her sons continued feasting on the sambar they had killed the previous night. The female cub was so much smaller. Maya has stripes which look like around 7 eyes on his body along with his cubs. https://tigernation.org/tigers/maya. The standard practice for safari cars is to wait infront of the watering hole and you are normally rewarded with a tiger sight. This area is famous for Maya. But to see tiger you might miss other things elsewhere. The flies in front of Pandharpauni is notorious. SO YOU MUST TAKE INSECT REPELLENT. We were also lucky to sight a serpent eagle on our way. As the weather was getting cooler, the dholes were coming out of their slumber and becoming active. 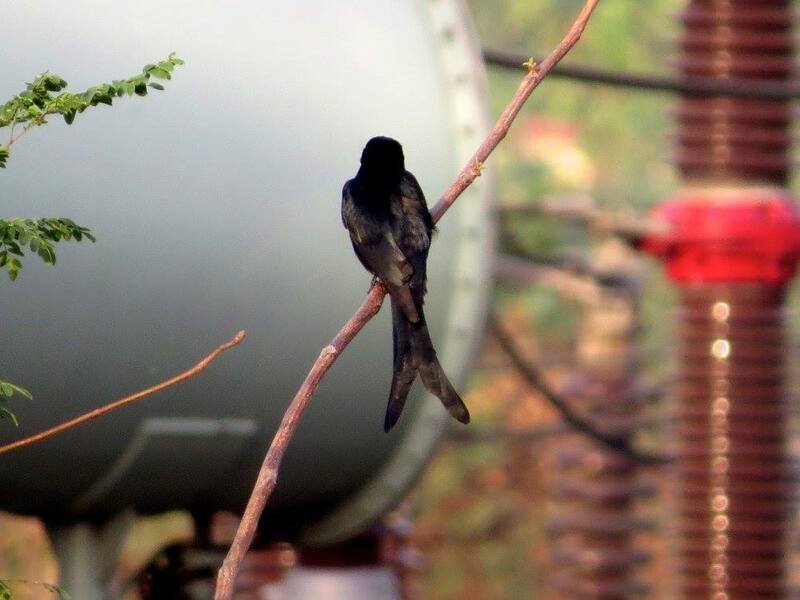 We also spotted a Rufus Treepie which is known as the tiger’s dentist.Unlike the fearless ones in Ranthambore, they shied away from human contact. After the safari we returned to our resort at around 6 pm. There is not much you can do after returning to the resort. We chatted with our group members and went to sleep little early since we have leave for early morning safari at 6 am. The next day turned out to be a day of of mostly birds and an interesting dhole sighting. But we had to get out when the moon was still in the sky at 4 am (because we could only get an entry through Zhari gate which was quite far away) but were rewarded with a mesmerising egg-yolk sunrise. Actually very few people go there.It is almost 65 Km from Mohurli gate and takes around 1.5 hours to reach there. We passed by the beautiful Telia lake on our way to Choti Tara territory but she was not there. It was a lovely morning and we got some new bird sightings. It was our last safari in Tadoba and we wanted a real close encounter with the tiger. Today we visited the buffer zone. All our sightings had been across a waterbody. The first 2 hours were quite unproductive except for learning about the crocodile bark tree. The group leader’s name along with his/her ID details are required during the booking. He/she MUST be present while entering the park; else the permit will be canceled. It is better to enter more names, as cancellation is not an issue (a jeep can carry a maximum of 6 people plus driver & guide). Add-ons are allowed but I am not too clear about how it is done — all I can say is that it can be done at the gate for an additional fee. According to rules, the names cannot be altered after the safari booking but some do it illegally. Usually, only the group leader’s ID is checked but a random check may happen any time. So it is better to keep your IDs with you. Remember to carry a printout of the online receipt with you at all times. Please keep a photocopy of your ID. A much cheaper canter bus safari has now been introduced (@ Rs 400 per head) but you must reach the gate very early and wait for the bus to be filled up to a required minimum number (possibly 8) of tourists. Nice post. 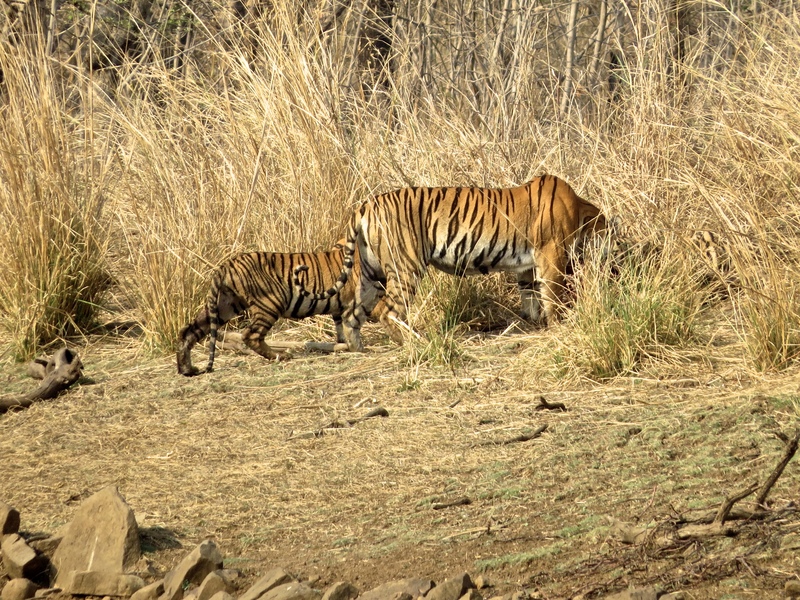 Recently I also visited tadoba national park and I had great tiger sighting. I booked resort near tadoba it was luxury resort and They have arranged my safari and provide al amenities.